Think fingerprints, iris scans and facial recognition is the future of passwords and security? Think again. Although much harder to crack than the usual four-numbered pin, these methods pale in comparison to the use of something much more difficult to replicate – your heart. 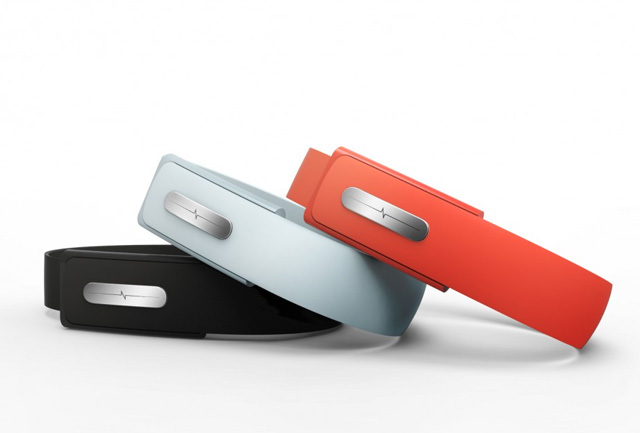 Nymi is the world’s first wearable authentication device that uses your heartbeat as your password. This biometric wristband launches today and is set to completely disrupt how identity is handled in the digital space. The Nymi wristband uses an embedded electrocardiogram (ECG) sensor to identify the unique characteristics of your heartbeat and pairs your personal ECG to the device. Once paired, the Nymi is yours and only yours to use making it as valuable as your SIN card, driver’s license or set of keys. Nymi uses this ECG to authenticate you whenever you put the device on your wrist and you remain authenticated until it is removed. When the Nymi is activated it can then be used to gain access to all registered devices via Bluetooth in lieu of passwords, pins and patterns. The Nymi battery life is expected to last up to one week with charging capabilities via USB. The potential of this authentication-based technology is far reaching and much more than just making it easier to unlock your smartphone – think making payments without cards and pin codes or keyless entry to your car or even your house. As Nymi also has motion and proximity detection, task-specific commands allow for a dynamic interactive experience between the user and the technology. Something as simple as the twist of a wrist to the left now has the capability to unlock your car while a flick up with the wristband could unlock your trunk. Nymi is from the minds of Toronto-based startup Bionym, a leader in cutting-edge biometric recognition systems. Bionym was part of the inaugural cohort of the Creative Destruction Lab at the Rotman School of Management. In August 2013, Bionym closed $1.4 million in seed funding with the majority of investment from the Creative Destruction Lab “G7” members. The Nymi launches one week before the rumored iPhone 5S which is expected to come equip with a fingerprint scanner in an effort to do away with the lock screen PIN and beef up mobile security. Bionym’s CEO Karl Martin told BetaKit that the company was originally on track to create a biometric version of this solution but went in a different direction once they saw the traction that wearable technology was gaining in the marketplace. The team realized that they could further simplify people’s lives and be completely disruptive in the space by incorporating their technology into a wearable wristband that would authenticate the wearer once rather than repeating this process every time someone went to unlock a device or application. Martin also told BetaKit that their goal with Nymi is to grow a platform which won’t be limited to using this authentication technology in the form of a wristband. The team is already considering other form factors for their own line of wearable tech such as necklaces and waistbands. They are also in talks with smartphone manufacturers, game systems and other wearable tech companies, like those in the smartwatch game, to see if Nymi can be integrated into other products to hit the market. Bionym will be launching a developer program along with a SDK this fall with the aim to have devices and applications ready for use with Nymi by the time the first batch of wristbands reach their early adopters. The team is eager to interact with developers to create a community that will explore the digital and social opportunities that the Nymi unlocks – especially on the hardware side of things. The Nymi is available for pre-order starting today. The first batch of 25,000 units will be available for $79.99 with a limit of four devices per customer. Shipping is expected to begin early 2014. Once pre-launch orders are filled, the price of the Nymi is expected to rise to $99. You can head on over and grab one from www.getnymi.com.